The TWU says hundreds of truck drivers and their supporters protested on an April weekend in all major capitals as a new survey shows 93% of drivers want to see changes to make transport safer and less pressured. Drivers sat on Oxford Street in Sydney and marched in Melbourne, Brisbane, Adelaide and Perth in a stark message to the Federal Government, which shut down a road safety watchdog two years ago, “allowing wealthy retailers like Aldi to financially squeeze transport”, the TWU said. The driver survey shows almost 93% of drivers also say pressure on them is continuing or increasing, with drivers listing the financial squeeze from major supermarkets and manufacturers, bad roads, unsafe truck stops and unrealistic deadlines major sources of pressure. Over 1,000 drivers responded to the survey, which was conducted following police blitzes on trucks after a spate of crashes. The survey comes two years after the Federal Government shut down the watchdog that was investigating safety in trucking and holding major companies to account for low cost contracts which means their goods cannot be delivered safely. “Two years ago the Federal Government scrapped scrutiny and accountability on the major manufacturers and retailers like Aldi over poor rates in their supply chains. This financial pressure means that trucks are not being maintained and drivers are being pushed to speed, drive long hours and skip mandatory rest breaks. This is devastating families across Australia because of truck crashes and it means drivers are copping all the blame for problems in the industry,” TWU acting national secretary Michael Kaine said. “The only response from the Federal Government to the spike in deaths has been to increase the number of speed cameras to catch drivers and to have police fine them over breaches. This will not solve the problems in the industry and it will not cut the number of crashes. Unless wealthy clients are held to account for low cost contracts the problem in this industry will only worsen,” Mr Kaine added. The TWU’s traditional enemies the (large) industry body the Australian Logistics Council and the transport owners’ Australian Trucking Association (ATA) have predictably come out against the idea of reinstating the RSRT. The ATA has outright dismissed calls for its reinstatement, ATA chairman Geoff Crouch saying the TWU claims there has been 92 per cent increase in truck crashes in NSW since the watchdog was shut down, but there is no correlation between the two. “In 2017, the number of deaths in NSW from crashes involving articulated trucks like semitrailers increased dramatically but we know most of the increase in deaths was in multi-vehicle crashes, 80 per cent of which were not the fault of the truck driver,” Mr Crouch said. “In the same period, no other states or territories experienced an increase in fatal crashes involving articulated trucks, with the majority seeing significant decreases. “Transport owners and operators have told us the devastating impact of the RSRT included financial hardship, increased debt, reduced equipment values, widespread uncertainty and significant stress on families, relationships and mental health,” Mr Crouch said. 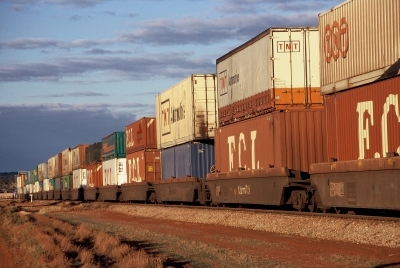 “The ATA backs recent comments from the Australian Chamber of Commerce and Industry that say reinstating the RSRT is a backwards step. The transport industry is essential to the fabric that holds the Australian economy together and they deserve better. Similarly, the Australian Logistics Council (ALC) said suggestions that the former Road Safety Remuneration Tribunal (RSRT) should be reconstituted within the Fair Work Commission are part of a continuing industrial campaign that will do nothing to improve heavy vehicle safety. “Improving heavy vehicle safety is an enormously important national objective – and it should not be conflated with a continuing industrial campaign within some sections of the industry,” said ALC managing director Michael Kilgariff. “These CoR provisions will be significantly strengthened and enhanced by changes due to come into effect later this year, and our focus should be on ensuring compliance with those changes. That is why ALC has been working in partnership with the Australian Trucking Association for the past year to develop an industry-wide Master Code for heavy vehicle safety, capable of becoming a registered industry code of practice under the HVNL,” Mr Kilgariff noted.